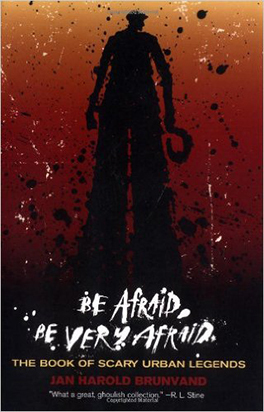 I picked up Jan Harold Brunvand’s book Be Afraid, Be Very Afraid completely on a whim. I happened to notice it on a shelf near a section in the library I usually don’t visit. I saw it was about scary things. I like scary things. I threw it in my basket. Yes, I load a basket when I go to the library. The book was pretty much what you would expect it to be: a compilation of urban legends in their various iterations through the years. However, I didn’t learn anything from this book that I hadn’t already learned from the Internet. I kind of feel as though books like this are pointless now, with so much information online about urban legends. Want to know if something is true or a legend? Go to Snopes like everyone else. Sorry. I feel terrible for pointing people to online rather than a book, but sometimes online is better. Final Verdict: Back to the library with you, urban legend book.